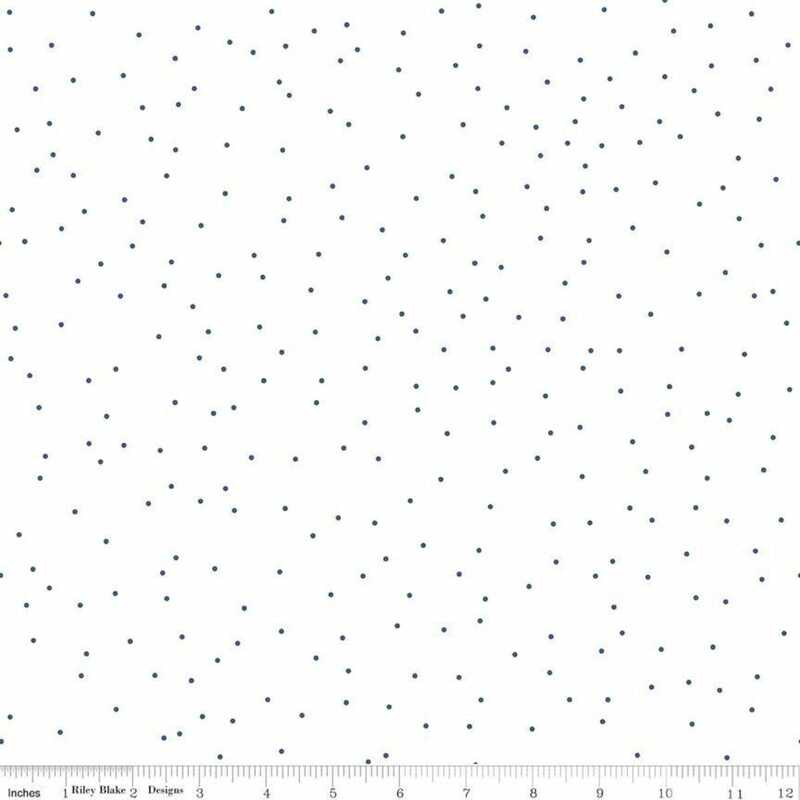 This beautiful fabric has scattered blue pin dots on a white background. Designed by Lori Holt as a Seasonal Basic for Riley Blake. Great transaction and received in a timely manner. Perfect for backgrounds the seller Is very easy to deal with!